The Trading System Life! Blog keeps you up-to-date with the latest trading system concepts and ideas as well as all the additions and changes to the web site. Readers will benefit from subscribing to our RSS feed by receiving the latest updates automatically. Please click on the orange button to subscribe to your RSS feed. Your trading plan is an important document that is a key differentiator between success and failure. Learn how to build a trading plan covering all aspects of your trading system. Continue reading "Is a Trading Plan the difference between success and failure?" An important lesson when you learn stock trading is to minimise the risk per trade through conservative position sizing. A small risk per trade will stop one trade from destroying your account. Continue reading "Learn Stock Trading: Risk Management and Position Sizing "
Learn stock trading with my private email coaching program clients. In this video I explained the right way to calculate position size for your stock trading system. Continue reading "Learn Stock Trading: Position Sizing The Right Way"
Writing a small cap trading plan needs to consider these 4 secrets - otherwise you could get eaten alive in the markets. Continue reading "Small cap trading plan secrets"
A good stock trading plan includes 5 specific considerations in addition to the things that should be included in all trading plan. Continue reading "Stock Trading Plan - 5 Critical Factors"
Creating a trading plan can be easy, or long and challenging and expensive - the choice is yours! Continue reading "Creating a trading plan the easy way"
Writing a trading plan is not difficult of time consuming if you approach it in the right way. Here are the 8 simple steps to follow. Continue reading "Writing a trading plan is not difficult or time consuming"
There is a world of difference between a trade plan and a trading plan. This page explains both in detail. 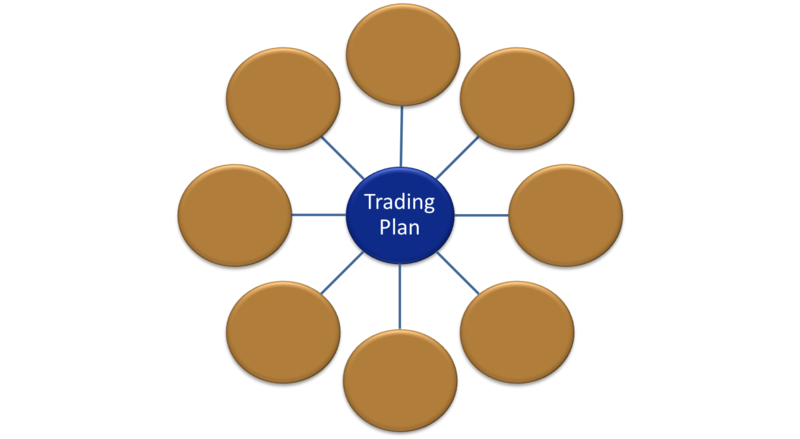 Continue reading "Trade Plan vs Trading Plan - what is the difference and why should I care?" Trading Plans - What is the big deal? Trading plans are the equivalent of a business plan for a traditional business. Businesses without a solid business plan fail so do traders without a written plan. Continue reading "Trading Plans - What is the big deal?" Learn Stock Trading: Setting CAGR and drawdown targets helps you develop your stock trading system quickly and reduce over optimization. Continue reading "Learn Stock Trading: What are reasonable CAGR and drawdown targets"
Learn Stock Trading: How much capital should you risk at any one time? Learn Stock Trading: The maximum amount of capital you have at risk in the market at any one time is a very important question to answer to ensure you don't blow up your account. 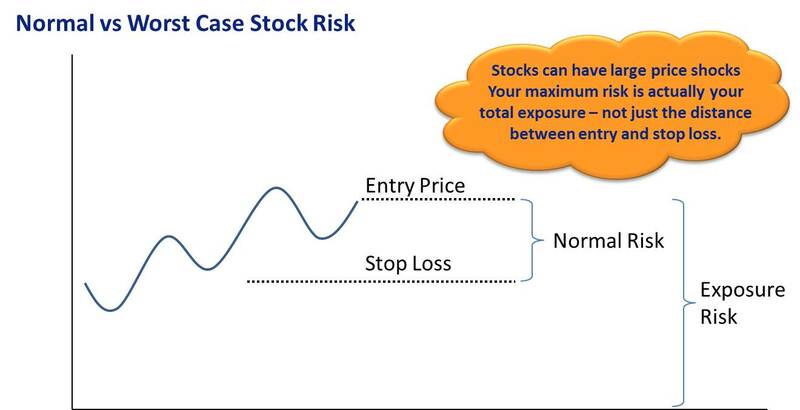 Continue reading "Learn Stock Trading: How much capital should you risk at any one time?" Learn Stock Trading: Curve Fitting - Why is it a problem? Learn Stock Trading: Curve fitting is the evil nemesis of system traders. 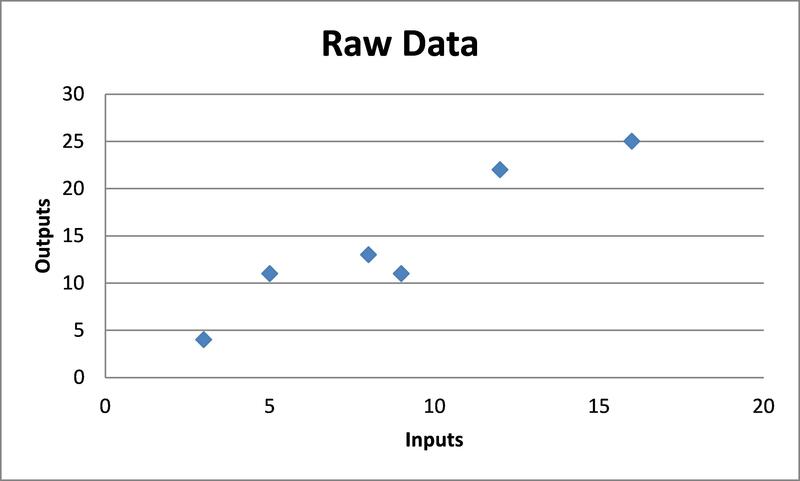 Avoiding curve fitting and over optimisation is the key to developing a trading system that will work into the future. 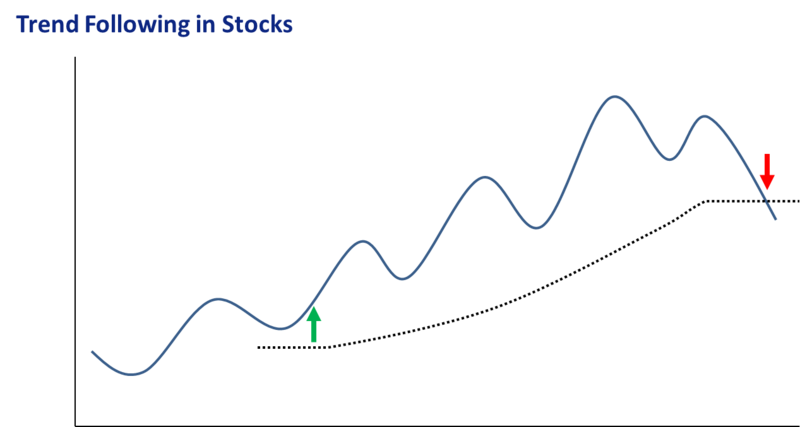 Continue reading "Learn Stock Trading: Curve Fitting - Why is it a problem?" When you want to learn stock trading, two of the most important tools are your trading software and EOD stock market data. I use Trading Blox and Metastock EOD stock data. 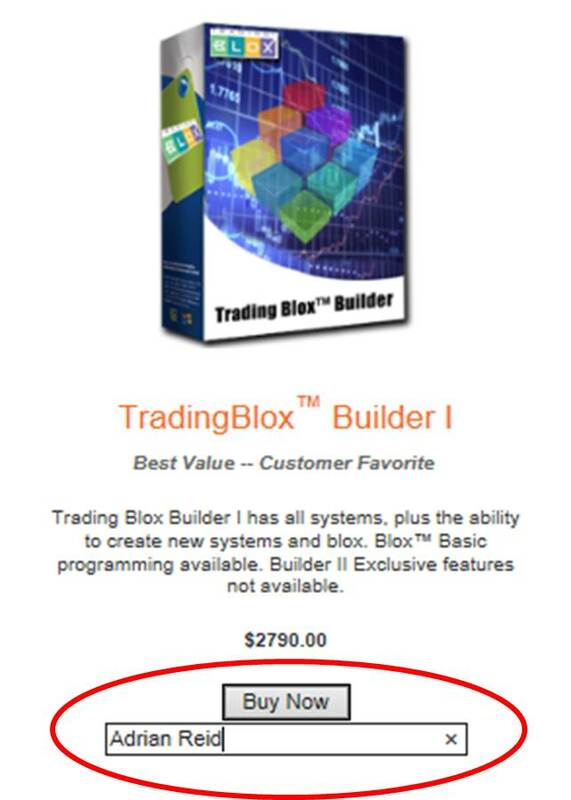 Continue reading "Learn Stock Trading: Using Stock Market Data from Metastock In Trading Blox"
Learn Stock Trading: When looking at developing my trading plan and setting my trading objectives, what is a realistic trading profit to target? Does this depend on what I am willing to risk? Continue reading "Learn Stock Trading - Trading Profit: What is a realistic target?" Learn Stock Trading: Is end of day stock market data reliable? Continue reading "Learn Stock Trading: Is end of day stock market data reliable?" Learn Stock Trading: Can I trade all time frames with EOD stock market data? Continue reading "Learn Stock Trading: Can I trade all time frames with EOD stock market data?" Learn stock trading - get your trading questions answered: Leverage is a double edged sword – it can help you make more money, but it can also cause you to lose much more money if you are not careful. Continue reading "Learn Stock Trading: Why is too much leverage dangerous?" 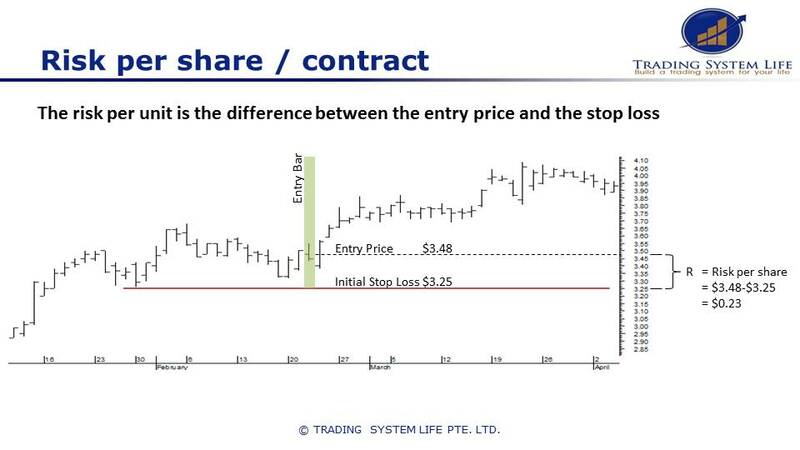 This 'Learn Stock Trading' page addresses the issue of whether a trader who previously didn't have exits or stop losses should put in a stop loss or close positions given the market is correcting. Continue reading "Learn Stock Trading:The stock market is correcting, should I put in a stop loss?" Learn Stock Trading Fast - Get your Trading Questions Answered! If you want to learn stock trading quickly, you need to get your trading questions answered so that you can keep moving. Continue reading "Learn Stock Trading Fast - Get your Trading Questions Answered!" A mean reversion trading strategy can provide great diversification from directional trading strategies like trend following and swing trading systems. Learn how to apply this strategy here. Continue reading "Mean reversion to diversify your trading program"
A single trading mistake can cost you BIG $$$ Here is a trading mistake list and a simple approach for eliminating them from your trading. Continue reading "Trading Mistake List"
Outstanding trading books like 'The Evaluation and Optimization of Trading Strategies' by Robert Pardo are rare. This book explains what trading systems are and how to evaluate and optimize them. Continue reading "Trading Books: The Evaluation and Optimization of Trading Strategies"
Trading Books: Trading Systems That Work by Thomas Stridsman. 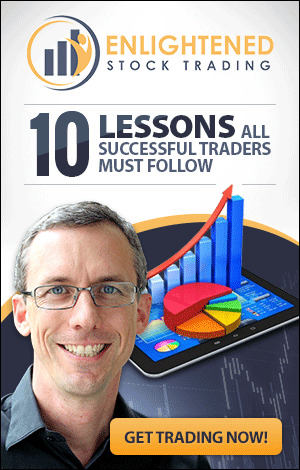 I give it a 4 out of 5 and it is an excellent resource to help develop your own trading system. Continue reading "Trading Books: Trading Systems That Work by Thomas Stridsman"
This is one of the most comprehensive trading books on the topic of position sizing. Continue reading "Trading Books: The Definitive Guide To Position Sizing by Van Tharp"
Trading Books that are truly outstanding books like 'Way of the turtle' by Curtis Faith are rare. This book explains Trading Psychology, Trading Mechanics and Trading Systems. Continue reading "Trading Books: Way of the turtle"
A stop loss order is probably the most important order type for most traders. Learning how to use stop losses in a disciplined way is a huge step towards profitable and consistent trading. Continue reading "Stop Loss Order – Trader’s Best Friend"
Stop Limit Order – The Best of Both? A stop limit order can help you overcome one of the major drawbacks of a traditional stop order or stop loss order – Slippage. However, this comes at the price of certainty of execution. Continue reading "Stop Limit Order – The Best of Both?" Market on close orders (MOC Orders) are an extremely useful tool to help you get in or out of the market at the closing price without having to place your order right when the market closes. Continue reading "Market On Close Orders - Another Useful Order Type"
Market on open orders (MOO Orders) are an extremely useful tool to help you get into the market at the opening price without having to place your order right when the market opens. Continue reading "Market on Open Orders – A Useful Tool"
3 steps to find the best trading signals - You don’t have to pay for complex trading signals that claim to be the best. Most of these do nothing other than over complicate your trading systems. Continue reading "The Best Trading Signals in 3 Simple Steps"
A trend following system can be readily developed and managed by people with a full time job. 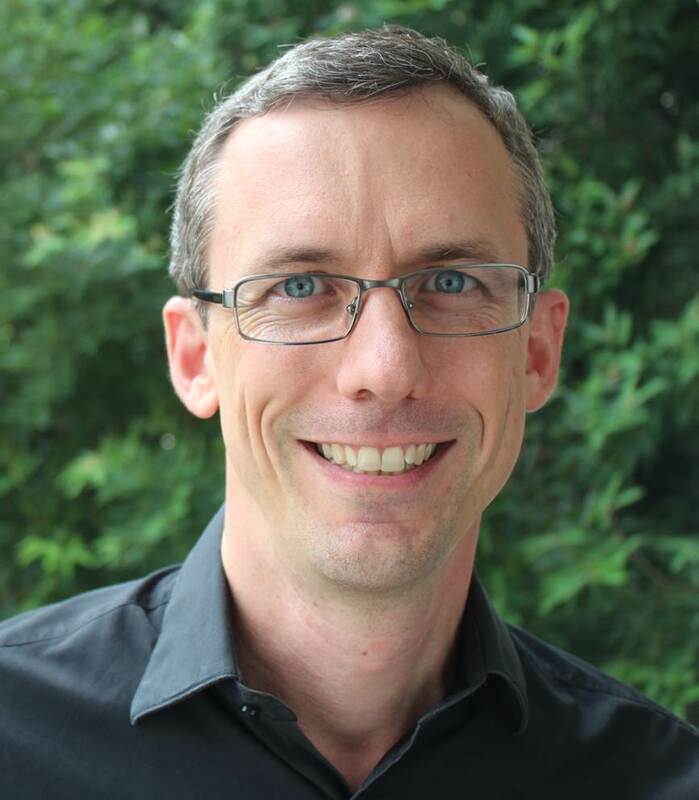 Understand the 5 core components of a trend following system. 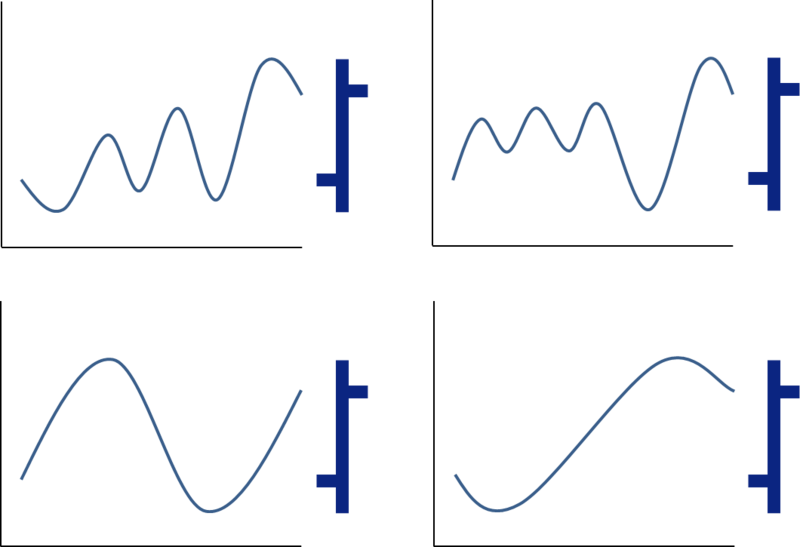 Continue reading "Trend following system components"
The difference between a good trading system and a poor system is important to understand. Many traders fall into traps unknowingly which prevent them from designing a good trading system. 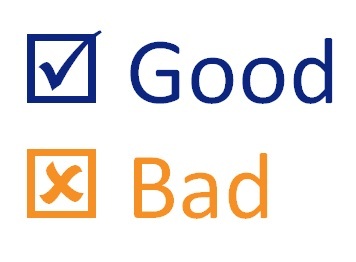 Continue reading "A Good Trading System has Specific Characteristics"
Mechanical trading systems save yourself from yourself! 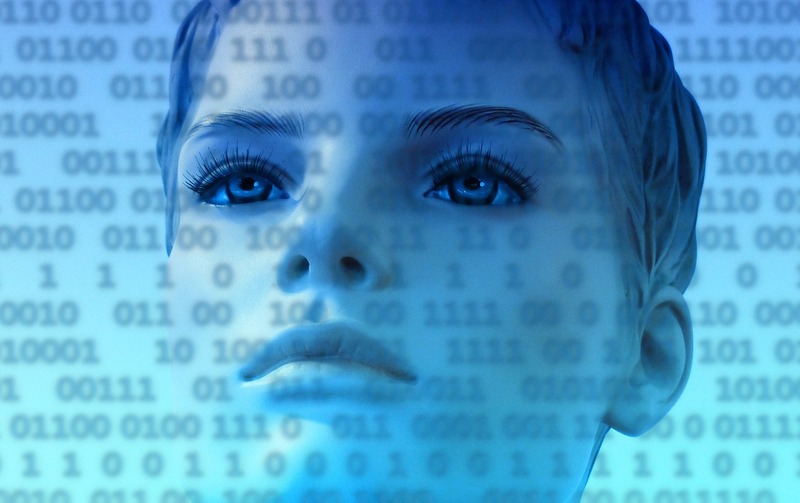 Continue reading "Mechanical trading systems save yourself from yourself!" Trend following stocks is a great trading strategy! Trend following stocks works extremely well because of the 8 reasons explained here. Most of the trend following literature talks about futures, but this misses a huge opportunity! Continue reading "Trend following stocks is a great trading strategy!" This page shows my Twitter feed. Please follow me to stay up to date and join in the conversation. Continue reading "Trading System Insights"
This page allows you to take the Trading System Life "Personal Trading Assessment" which will give you a detailed report providing personal feedback on how you can improve. Continue reading "Personal Trading Assessment"
One of my big focuses is understanding how people are incentivised. Incentives matter - if an adviser is getting paid by getting me to put my assets into a fund then he is not aligned to my objectives. My objective is to make high returns on my money and manage my risk within certain tolerances; the adviser's objective is to get me into the fund that pays him the highest commission. Therefore by design his advice will be total crap. There are many more insidious examples of this misalignment of incentives in the financial world - Forex and Binary options is another one...The brokers make money from the spread on each trade and the interest they get on open positions, so they want people to take on huge leverage and trade very frequently...This is not profitable for most traders - instead it dramatically increases the risk of total ruin for the trader. So the broker is incentivised to push the trader to do something that is totally opposite to the trader's best interests. 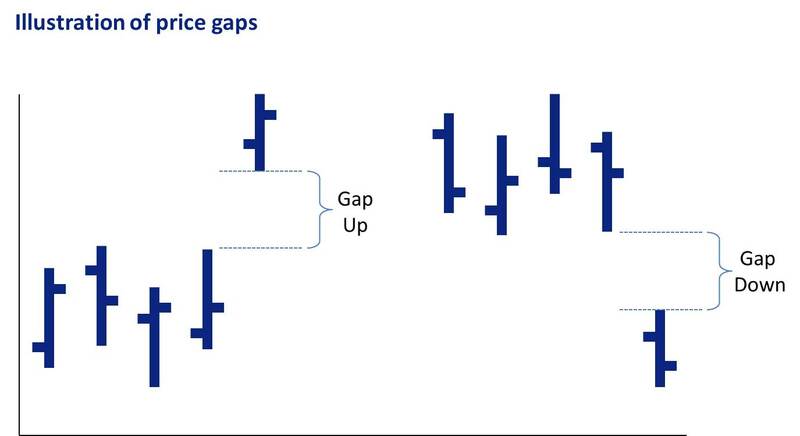 This misalignment is made even WORSE because many of these 'brokers' simply take the other side of your trade, effectively betting against the broker because they know most new traders lose all their money anyway! Hmmm...looks like once again personal responsibility and taking ownership of one's financial affairs is the key! Continue reading "Trading Plan Workbook - Information Request"
Several years ago I developed a long side trend following system for stocks. This system has worked extremely well every year and even coped well during and after the GFC keeping long side exposure at a minimum until the market started really moving again. ... As I was investigating an idea for a totally different system an idea suddenly struck me. It was a subtle modification to my trend following system that would improve its ability to ensure that it only takes trades in the best trends. I tested the idea and found that it improved the average profit per trade by around 20% - this is a huge improvement, especially considering how well the system works already! 1. If you keep working on a system you will generally be able to improve it... Especially if you use a little creativity. 2. It pays to work on several different trading systems which use different trading strategies. The different thinking will stimulate useful and profitable ideas that you can use in other systems. Continuous improvement is an important part if a good trading business, but so is trading. Many people get so caught up in the development and analysis that they don't start trading the system once it gets to an acceptable level... This is very costly procrastination if you have a good system! The final moral: set some trading system objectives so that you know when your system is good enough to start trading. My trading goals prevent me from looking at fundamentals! I had an interesting realisation the other day while watching a You Tube video of Warren Buffet. I was thinking about his investment approach as he discussed that timing doesn't matter if you are really right about the company. I have often debated whether I should include some sort of fundamental analysis in my trading system and trading plan rules, but I have always struggled with how I would do this and still feel comfortable. I considered this as I watched Buffet speak very convincingly (as always). Then it hit me - one of my trading objectives is to spend the minimum time possible to earn the maximum reward possible. I have always wanted my trading business to be as passive as possible so I designed my trading systems to allow me to spend about 20-30 minutes a day trading. This has been very successful and I have earned solid returns with this very small time investment. The challenge I have with incorporating the fundamental information into my trading decisions is that it would become very difficult to keep true to my objective on time! I have no doubt that trading and investing using fundamental information can be hugely profitable - Buffet is the ultimate proof...but it just wouldn't meet all of my objectives. So I sleep soundly and comfortably knowing that I trade mechanical trading systems that require only price / volume information and I only have to spend 20-30 minutes a day running my trading systems...the rest of the day is mine to spend on what I choose. This is a prime example of how your objectives impact what is the best trading system for you.You will have different objectives than me. I am aware of mine, and they are written down. When you start your trading system development journey I hope you write yours down too. If you do, you just may achieve them!! Continue reading "My trading goals prevent me from looking at fundamentals!" Many new traders spend a lifetime looking for the perfect trading system... And some never even get started because they are constantly looking for something better. 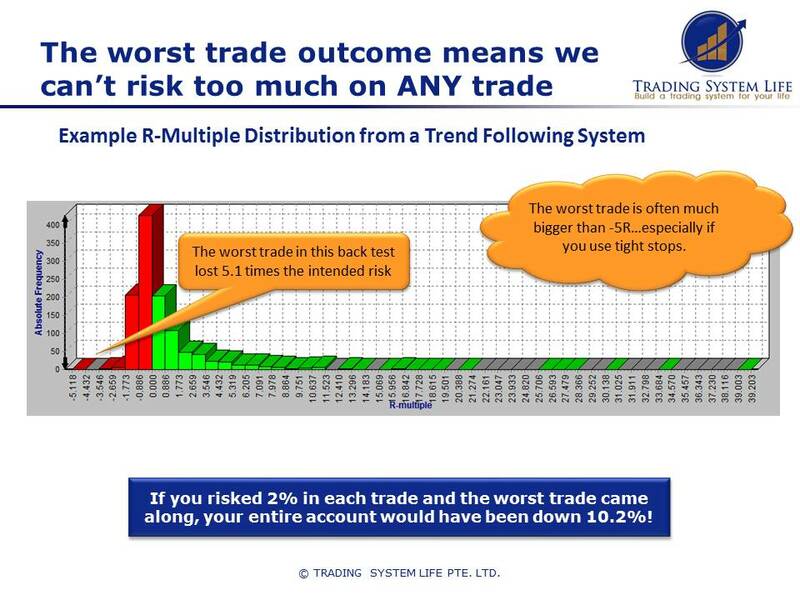 Not only does this have a high likelihood of resulting in a useless, curve fitted system that has no predictive value in the market, but it also misses one of the most important insights to a profitable trading career. Building a robust trading system with a positive expectancy and a good position sizing strategy and sufficient capital to trade it is a good place to start... Once you have started, it is diversification that can help you supercharge your returns. It is in the combination of all three that the magic appears. 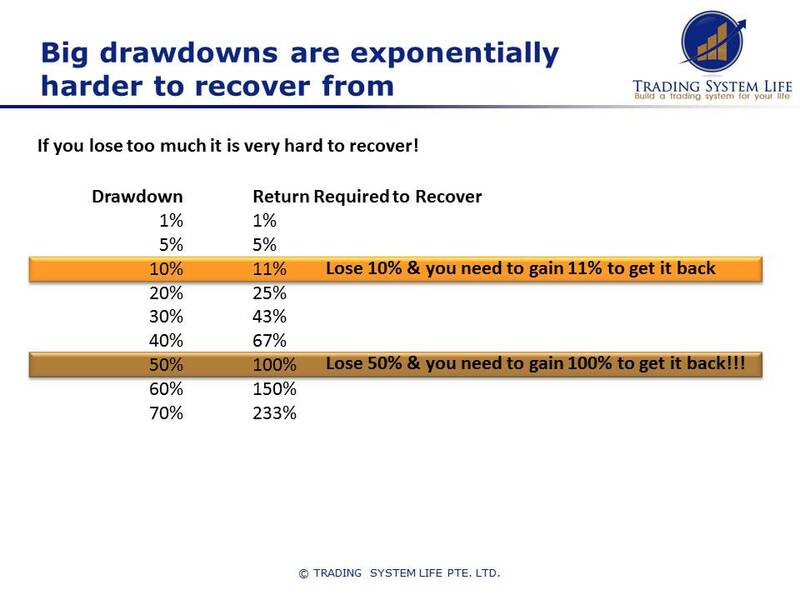 Long, short, and multiple timeframes of trading systems all traded in the same account can generate a return profile of the 'Holy Grail' without spending a lifetime searching for the one 'Holy Grail' system (which doesn't exist by the way). If you want to read more on diversification, I strongly suggest you read Richard Weissman's book - check out my review at the link below. Continue reading "Free Lunch! Diversification of trading systems"
I want to be a trader... But WHY? ... The interesting thing is that when I spend time with them to discuss why they want to trade it becomes clear in many cases that they have Unhelpful reasons to get into trading. There are countless others, but you get the idea. Any reason to trade that involves ego, proving something to others, proving something to yourself or the desire for fast money will probably only result in you losing money. So what is a valid reason to trade? If you are passionate about learning - about yourself and the markets, you like a challenge and you want to build a business that gives you direct and honest feedback on how you are going every single day. Yes there is huge profit potential, but that comes as a by-product of learning about yourself, building your own trading system and trading plan and developing the discipline to execute it flawlessly. I have always found focusing on the process rather than the outcome to be extremely beneficial. I love the trading process and the search for personal improvement, new market edges and trading strategies that work. I also love converting these into trading systems that are robust and stand the test of time. I would trade even if there was no money involved. Search your self for the reasons you want to trade and write them down. Then I challenge you to think about whether they will be helpful in making money or not. Feel free to submit your reasons via the contact us page if you are not sure of the difference - it might just help get you started on the right foot! Anxiety or stress in trading - Check your trading strategy fits! Once upon a time I experienced anxiety and stress every time I took a trade. I had trouble sleeping and I found myself regularly checking my positions during the trading day and second guessing myself. That was a long time ago, and I just wanted to share that trading should not bring excessive stress and anxiety into your life - it should be a means to reduce these by providing more financial freedom. So how did I eliminate my trading stress - simple! I selected a trading strategy that suited my personality, my beliefs and my life. Then I designed my own trading system using this strategy to meet my objectives. Just like the Trading System Life! philosophy, I believe it is critical that your trading strategy and trading systems fit you. This most often means that you will need to build it yourself rather than buy someone else's system. Follow the link below to read more about some of the different trading strategies and challenge yourself to find the right one for you - You will not regret the effort. Continue reading "Anxiety or stress in trading - Check your trading strategy fits!" 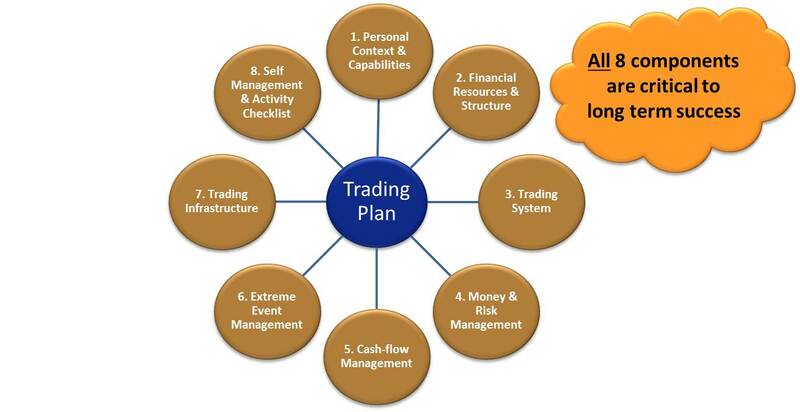 Are you really ready to trade - Do you have a Trading Plan? So many people I work with are super excited to just get started and make their first trade. Getting started is one thing, but getting started right is something different all together! Trading profitably using a trading system requires a lot of preparation to ensure that you have all your ducks in a row before you risk your hard earned money in the markets. What I find most commonly is that once people have figured out what their entry signal is, they see their signals coming up in the market and want to jump in - This is a mistake! 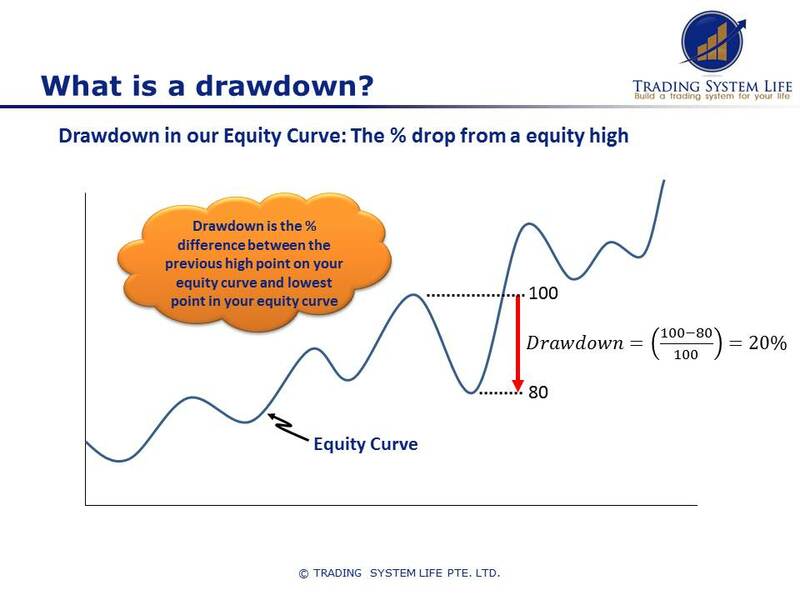 The entry signal is just one small part of your trading system, and the trading system is just one small part of you trading plan. An entry signal does not a trader make! Businesses without business plans fail, so do traders without a trading plan! Review the link for suggestions on what should be included in a good trading plan. 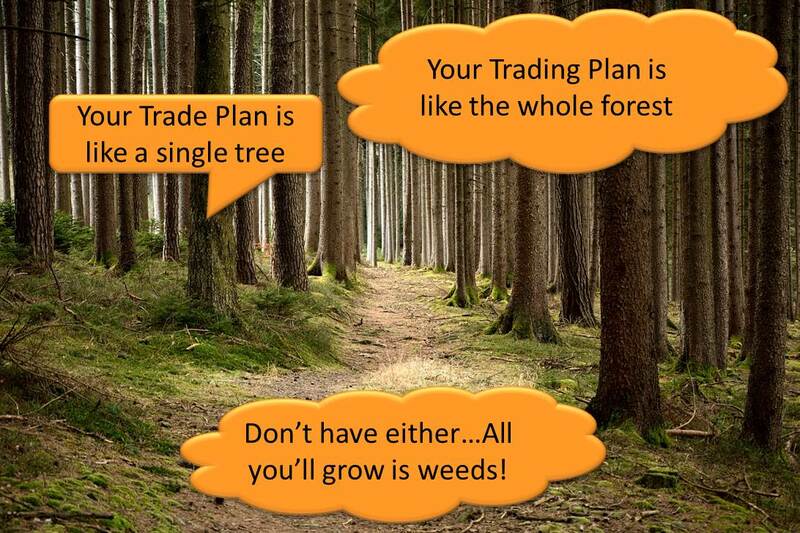 Continue reading "Are you really ready to trade - Do you have a Trading Plan?"